Chain plates removed , galvanised , and refastend 2012. Keel bolt inspected 2012 and found to be good. This is truly a classic design, and looks wonderful on the water. Including new electric windlass, heads, cooker, refurbished chain plates, upholstery, and hull paint and engine top end over haul. 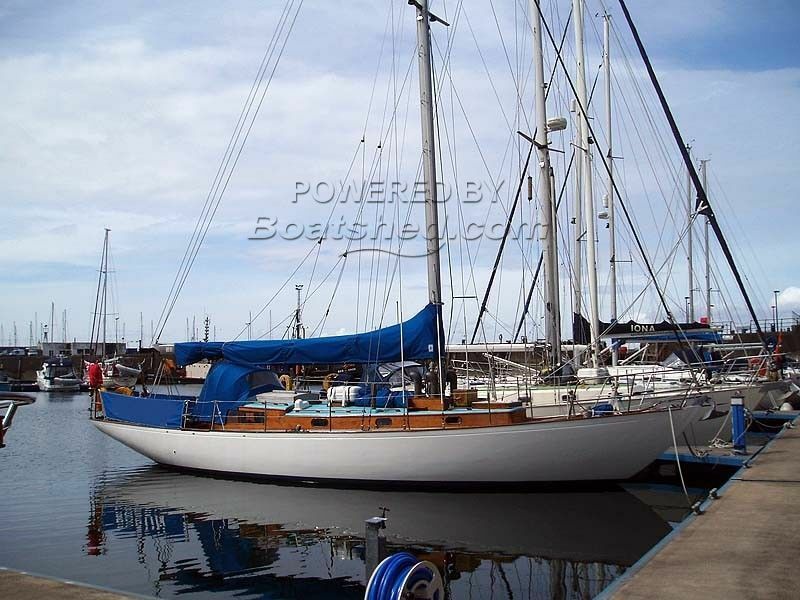 Ideal for coastal or long haul passages (900 litres of water) and short-handed sailing, the current owners have sailed her to Ireland, Scandinavia, and circumnavigated the UK. This Robert Clark 43 has been personally photographed and viewed by Gerry Fitzgerald of Boatshed Scotland. Click here for contact details. Please note this comments section is public. Please do not post your personal details here. To enquire about purchasing this boat, please contact the broker directly at gerryfitzgerald@boatshedscotland.com. Please read our commenting guidelines before posting.